Shilpa Shetty organised a surprise birthday party to usher in industrialist husband Raj Kundra's 37th birthday on September 9, at their residence in Juhu, a western Mumbai suburb. A fresh-faced Sanjay Dutt made a surprise appearance, much to the birthday boy's delight. Dutt and Kundra happen to be co-founders of Super Fight League, a reality TV show that was launched last year and have reportedly become great friends. Word is, Vivek Oberoi has replaced Dutt's former business manager and friend Dharam Oberoi in his circle of close friends. 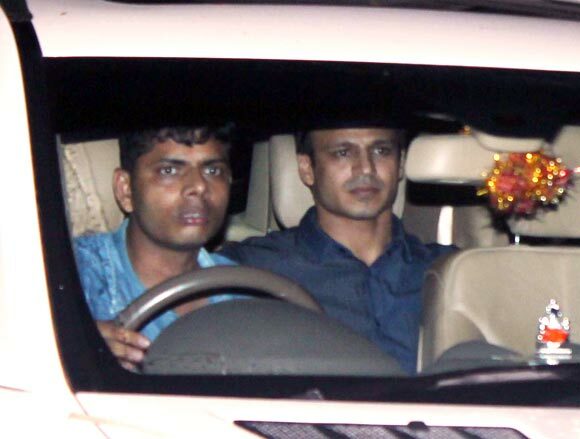 Oberoi reportedly arrived with wife Priyanka for the bash and the couple hung out with the Dutts. Maanyata Dutt was also overheard giving parenting tips to Priyanka, who's expecting her first child. 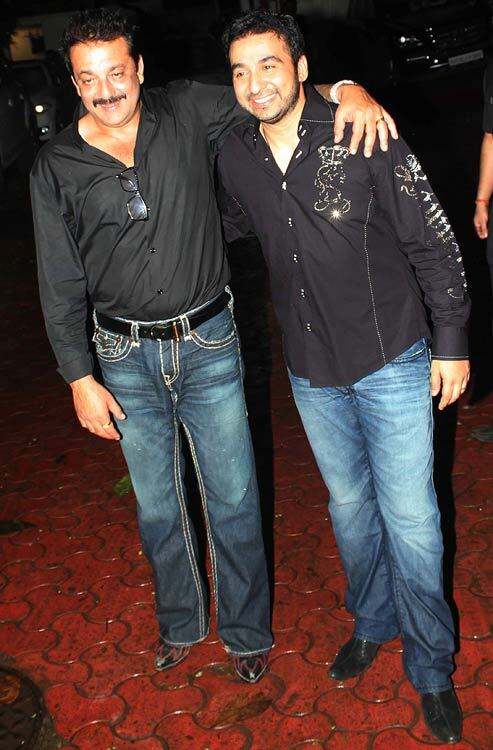 This new friendship hasn't gone down well with Salman, who was just beginning to warm up to Sanjay Dutt. Salman, who hasn't exactly been on good terms with Vivek ever since the younger actor's infamous press conference, was invited to the party too but decided to give it a miss. Interestingly, younger brother Arbaaz and his wife Malaika Arora Khan were a prominent presence at the bash. Sushmita Sen was seen at a bash after a long time. Dressed in a Herve Ledger top and skinny jeans, the former beauty queen put her assets to good use. Olympic Bronze-wining boxer Mary Kom made for a refreshing change dressed in a comfortable and cute dress and a pink stole. Celebrity lensman Dabboo Ratnani was present at the bash with his pregnant wife Manisha. The expecting couple looked happy as they posed for pictures. 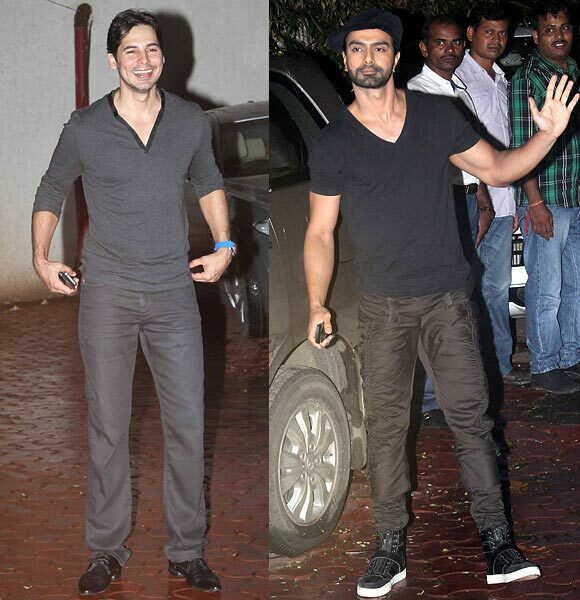 Actors Ashmit Patel and Dino Morea gesture as they arrive for the party. 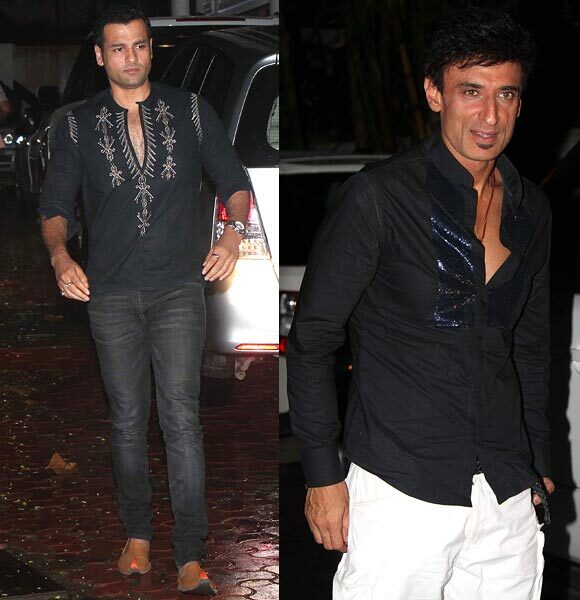 Television actor Rohit Roy and former model/actor Rahul Dev cut a casual picture in their black shirts. Choreographer and singer Ganesh Hegde arrived for the party with wife Sunayna. Actress Eesha Koppikhar was spotted with restaurateur husband Timmy Narang.